As I mentioned publicly back in June, my goal is to cover 100% of my average expenses here in Medellin ($1,200) and to ramp up the income generated exclusively from my website to $500 per month by the end of the year. Each month I report on what I did well as well as what I could stand to improve on. 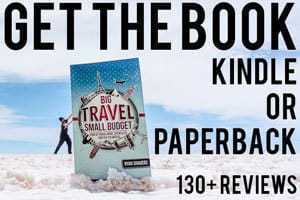 As a direct result of my article about how I’m flying for free from Medellin to Seattle I made $95.37 in affiliate sales with Unconventional Guides with their great travel hacking guide. Kind of humorous because my free flight cost me $95 in taxes and fees, which I made right back from the article. I’ve picked up another freelance client this month and was able to do a fair bit of work for them. I’m mostly doing WordPress related work for this client and charging on an hourly basis, as opposed to my other freelance writing based work which is a fixed rate. I made the transition over to AWeber to host my mailing list and have been really happy with the new service and the more frequent feedback and interaction I’m getting from readers due to the weekly email series. I was able to break 100 subscribers in the first month (compared to just 300 in my first two years with my old list), which is primarily due to promoting my free bundle of favorite Hacks and How To’s. 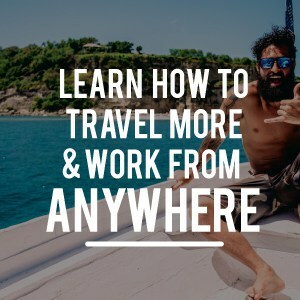 The Desk to Dirtbag blog was also featured in a few awesome sites like the World is My Office‘s list of must read digital nomad blogs and in Blogging from Paradise. I’ve also been featuring content in the form of guest posts from a few awesome fellow bloggers and friends. This one definitely hurt, and I don’t have a good explanation of WHY it happened. Month-over-month sales have been on the upswing via Amazon Affiliates which netted me an awesome $297.44 in income for September. That amount dropped off precipitously to $87.39 in October. Ouch. September may have been a fluke in terms of reaching nearly $300, but in August it was still above $200, July was almost $170, and June was $175… So this low figure is definitely out of the norm. Like I said I don’t really have a great explanation either, the number of clicks wasn’t drastically different (1,855 in Sep. vs 1,480 in Oct.), but the big drop was in conversion rate (clicks resulting in sales) was nearly half of the previous month (9.00% vs. 5.07%) for some reason. September was extremely productive on the book writing front. October I felt kind of overwhelmed by it, I guess, and let it slip. In total I’ve got nearly 20,000 words written in a first draft (certainly enough for a Kindle book), but have procrastinated on returning to it, editing, revising, etc. Perhaps the step back isn’t necessarily a bad thing, as it will allow me to come back to it with fresher eyes. November I need to return to it though. My income increased 10% compared to September, but was down 33% from August (still my best month, thanks to Airbnb). Airbnb rental income was up 34% over last month, but it still wasn’t busy at all. 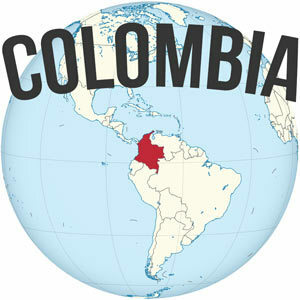 October is the rainiest month in Colombia and tourism has taken a dive. The rental income still allowed me to cover 25% of my rent and utilities here, which is a decent chunk–meaning my out of pocket expenditures were about $400 for housing, which is a lot of money here. Freelance income was up 55% which is great news and directly related to taking on a new client, which I should be able to continue working with for some time. Website income was down 27% which was pretty disappointing. 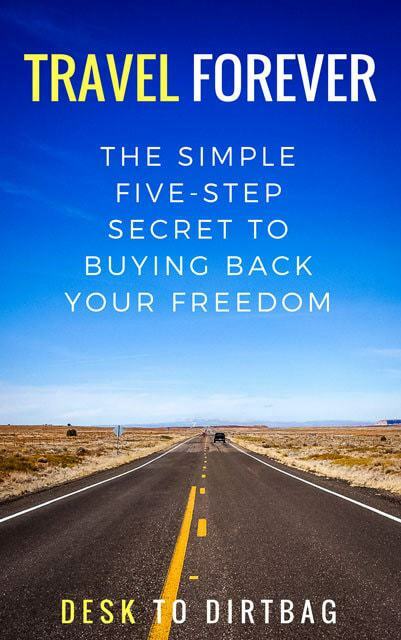 As mentioned above, the Amazon.com affiliate income took a sharp drop which really hurt the bottom line, and the only saving grace was the extra income generated from Unconventional Guides sales. November will be my last full month in Medellin. I will have to vacate the apartment at the end of the month and then will be flying back to Seattle on December 11th. The bright spot was definitely being able to score what would have otherwise been a $700 or $800 flight home for just $95 thanks to my travel hacking strategies. I also just purchased my flight to Florida in January–I will be meeting up with my girlfriend Andrea on her family trip to Miami and Orlando when they come up from Medellin. I decided to purchase the ticket outright instead of using miles since the Cost Per Mile was only 1.5 cents. Got any Florida recommendations for me? Email me.